Tottenham and City kicked off a genuinely ‘Super Sunday’ of Premier League football last weekend, the soon to be former league champions undone by a combination of perfectly timed substations, astute tactical changes and a renewed fight from the White Hart Lane club. 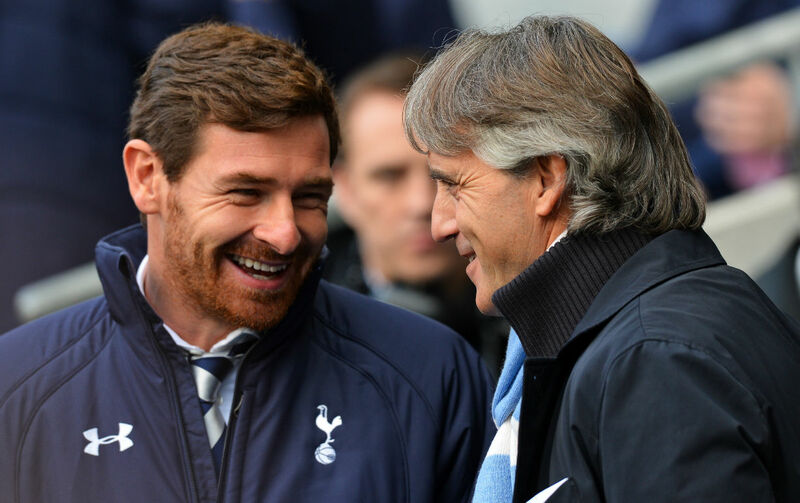 A whirlwind 6-8 second-half minutes changed the complexion of not only Tottenham’s outlook on Champions League football, but also Mancini’s overall success as City manager this season. With the main talking points coming from this game entirely football based, unlike the game that followed, here’s a rundown of what Tottenham’s emphatic 3-1 home victory taught us about both clubs. Remarkably, Tottenham have gone the whole Premier League season thus far without having been awarded a penalty, and by the looks of things, they’ll finish the season the same way too. There were several borderline decisions against Manchester City for the referee to call, and each one ended without Tottenham taking a kick from the spot. Perhaps more of a consistent lack of luck than a league wide conspiracy, this may have been a blessing in disguise if Basel is anything to go by. Perhaps the most frustrating player in the Tottenham squad in terms of attitude for myself, Tom Huddlestone possesses all the natural ability available to a be a trequartista of the highest quality if he ever put his mind to it. Wonderfully two-footed, strong in the challenge and an eye for a pass that would rival the great Andrea Pirlo on his day, consistent application seems to be Huddlestone’s only problem. If he continues in this current vein of form however, Scott Parker could find himself getting very familiar with a place on the bench. Jermain Defoe scores goals, but he doesn’t do much else. A higher calibre Adam Le Fondre, he’s the perfect player to bring on against tiring defenders to score the odd late goal or two. Not cultured or clever enough to lead the Tottenham line alone for 90mins, he still has a massive role to play at the club from the bench should he be happy with it. Not the most glamorous position to have at a football club, ‘super subs’ can still be crucial to their team’s success; just look at Ole Gunnar Solskjaer. Roberto Mancini has failed to build on the clubs success last season. Terrible as ever in Europe, just as he was at Inter Milan, the Italian is in serious danger of seeing his tenure as City manager come to end this summer should say Jose Mourinho become available. Suddenly becoming a much more widespread notion that City’s megastars may be winning despite his input rather than because of it, if City are really aspiring to become the global juggernaut their paying to be they will first have to part ways with their manager. After reshuffling the team from their usual 4-2-3-1 in to a more fluid, European 4-3-3, the central midfield trio of Dembele, Huddlestone and Holtby stroked the ball about and held possession with little to no effort. Much more dynamic, much more attacking and considerably less reserved than the original set-up, this is a style of play that Tottenham are capable of should Villas-Boas release the reigns. Throw back in to contention the likes of young Tom Carroll and the injured Aaron Lennon and the conversion to 4-3-3 for the rest of the season looks infinitely more appealing. Despite recording a much-doubted victory over City, Tottenham’s place in next seasons Champions League is far from guaranteed. A three-way scrap between themselves, Chelsea and Arsenal, one of the London giants will be left looking down their noses and looking at themselves should they find themselves left with a place in the Europa League. With games in hand, points left to play for and matches in general running out as the end of the season looms ever nearer; there’s still time for a few more twists and turns before time is called on this season. Once derided as a poor purchase earlier on this season, and still is by many, it however remains undeniable that Clint Dempsey has made a habit out of scoring massively important goals for Tottenham this season. Played in just about every position imaginable in the front-four, Dempsey remains a good squad player to have at your disposal; bringing a goal threat from just about anywhere he is played. Perhaps not as good or easy on the eye as players that could be playing instead of him, Dempsey continues to warrant his selection through sheer hard work and the handy knack of being in the right place at the right time to turn in increasingly important goals. Much like Dempsey, Gylfi Sigurðsson is experiencing a mixed first season at White Hart Lane. Also used in a variety of positions, Sigurðsson has recently flourished when playing more centrally in the absence of both Bale and Lennon, recapturing similar form that saw him command a £8.8m transfer fee after a highly impressive loan spell at Swansea. Often more Van Der Can’t than Van Der Vaart, the attacking midfielders shoehorned comparisons to Tottenham’s former Dutch cult hero perhaps raised expectations that bit too high, but with youth on his side, Sigurðsson is showing the potential to grow in to a great player for Tottenham. More than just the willing ‘runner’ he’s often fobbed off as, Milner has been consistently one of City’s best players in their recent purple patch, and was again on Sunday. Technically gifted, a great striker, crosser and passer of the ball, as well as an appetite to get involved in defensive work; he appears to be the proverbial “managers dream”. Also, having only been a few years behind him in the same school, living in the same part of Leeds, I shared a games teacher with Milner, who often described his professionalism, work rate and natural skill between the ages of 11-16 above and beyond that of anyone he’s seen before. How’s that for insight? It would be a needless loss of points of wonderfully typical Tottenham proportions, especially after coming away from a big home win. Failure in the face of renewed hope is a staple for Tottenham fans, and with Wigan edging closer to relegation, it’s about time they transformed in to the end of season world beaters we’re used to seeing perform annual great escapes. There’s a cruel inside-joke amongst Tottenham fans that states the clubs loss of form is in direct correlation to Wigan’s upturn in fortunes; so a win for Tottenham would go a long way to kill any lingering superstitions. Expect the Wigan goalkeeper to put in an unbeatable man of the match performance and Di Santo to score via a fortunate deflection from his posterior; it’s just the Tottenham way.